Cellulite refers to the dimpled or lumpy appearance seen on the skin; this is often seen on the thighs, hips, and the buttocks, but may also appear on the lower legs and the stomach areas as well. The lumpy look of cellulite makes the skin look unattractive and unhealthy, and is more often seen in women than in men. The lumpy or dimpled appearance of cellulite is caused by fat deposits on the skin, which distort the connective tissues underneath. The distortion of the connective tissues result to the unsightly changes in the way the skin looks like, making it look lumpy with cellulite. Even individuals who are not overweight may have cellulite; in fact, studies show that most women have cellulite in at least one part of their bodies. Genetics – A person’s genetic makeup can make him or her more predisposed to the development of cellulite. Those who have family members who have cellulites are more likely to have the lumpy skin appearance as well, compared to those who do not have relatives or family members with cellulite. Hormones – The production of cellulite is closely connected to the hormones present in the human body. The hormones prolactin, insulin, estrogen, noradrenaline, and the thyroid hormones are said to have a huge impact in the formation of cellulite in a person’s body. Lifestyle – Cellulite is believed to be more prevalent in those who have an inactive lifestyle, or those who sit or stand up for long periods of time. Smoking is also a factor in the development of cellulite, especially in women. Diet – The food that a person consumes play a significant role in the formation of cellulite. A diet that is rich in carbohydrates, salt, and fat can lead to the development of cellulite deposits on various areas of the body; too little fibre in the diet can also lead to cellulite development. Clothing – Frequent use of tight clothing can constrict the blood vessels and prevent blood flow – which can contribute to the formation of cellulite deposits underneath the skin. The development or formation of cellulite can be prevented by adapting an active lifestyle, and by maintaining a healthy body weight; this is prevent fat deposits from accumulating in areas prone to cellulite formation. A diet rich in fibre will also be beneficial in preventing the formation of cellulite in the body. The use of looser fitting clothes (as well as underwear) will also reduce the risk of cellulite forming on certain parts of the body, such as the thighs or buttocks. 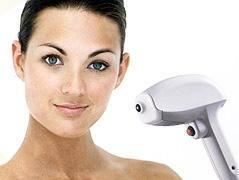 Woodbury Dental and Laser Clinic in Kent uses Accent radiofrequency (RF) therapy to address cellulite problems. Accent’s RF tightens loose skin in a non-invasive way, promoting healthy collagen production, and the improvement of the body’s contours. Accent radiofrequency treatment is perfectly safe to use, and provides a cooling sensation to the skin to prevent burning or any type of discomfort. During an Accent radiofrequency treatment, the Kent doctor will precisely heat an area of the inner layer of your skin using Accent RF technology; the outer layer of the skin is simultaneously cooled to prevent any burning or uncomfortable sensations. 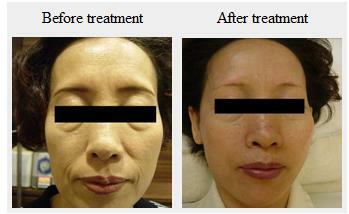 Once the skin’s inner layer is heated, a natural reaction occurs which encourages the creation of new collagen. 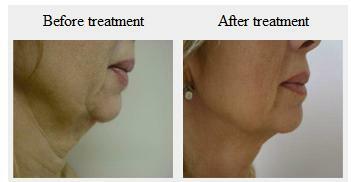 The treatment will result to skin that appears well-contoured, without the lumpy appearance associated with cellulite. Depending on the size of the area that needs to be treated, the Accent RF treatment can take up to 45 minutes to be finished. A slight redness may be observed in the area where the cellulite treatment has been made, but you can immediately resume normal activities afterwards. The redness is expected to totally disappear in less than 24 hours, and you may be requested to come back for the Accent radiofrequency treatment every two weeks, for a total of about six to eight treatment sessions. Results are immediately visible after the Accent radiofrequency treatment, and an improvement on the appearance of body parts with cellulite can be noticed after the first treatment procedure. Over time, the skin will take on a much more improved appearance due to the production of new collagen; the improvements will also be more noticeable after the entire treatment plan that involves a specific number of cellulite treatment sessions has been finished.